Classic baseball cap styling with advanced technical features of the White Rock travelling hats. A 'one size' adjustable fit, the Classic Baseball Cap features Hydro Cool Crystals, Water Resistant Fabric, Bug Off insect repellent and high sun protection factor - ideal for taking on holiday, to football matches and for everyday use. 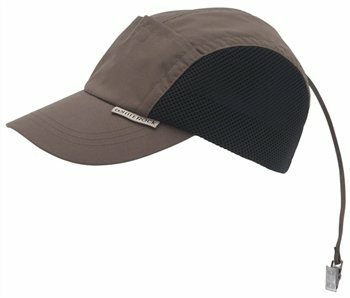 The Classic Baseball Cap with Air Vent features a 'Flow-thru' air venting system ensuring maximum cooling.